Federation Starships and Vehicles of Star Trek #infographic ~ Visualistan '+g+"
After more than 50 years of love for all things Star Trek, ships, classes, and the star systems themselves have been memorized, mapped, and methodically categorized by obsessed fans. Some know these ships from command deck to engineering room, and these are just a small sampling of the most popular Star Trek Federation ships out there! 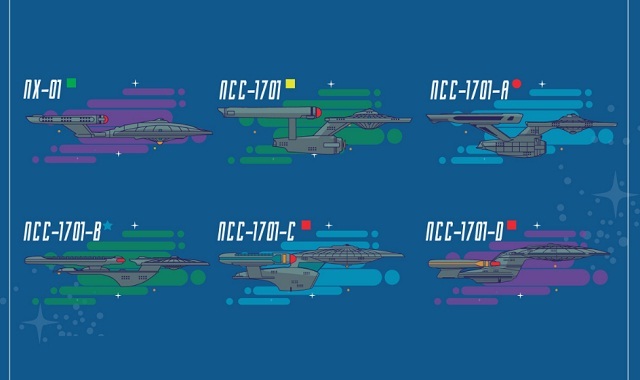 If you’re hoping to boldly go where no man has gone before, use our guide to the ships of Star Trek to find the best vessel for your trip through space!